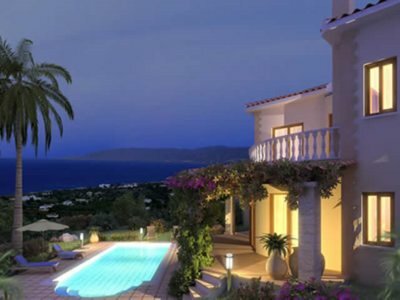 This project is situated on the outskirts of the charming village namely Neon Chorion, which is only a few minutes away from the renowned Akamas Pennisula. This project will consist of 4 three bedroom villas all with private swimming pools, large gardens and superior design, using only the highest specification materials to offer superb finishes. 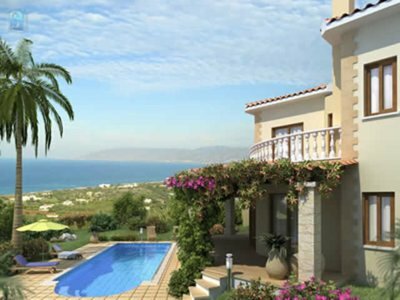 Ready within 18 months of signing contracts, the villas here are perfect for people looking for an investment in an area which is fast becoming one of the most sought after locations in Southern Cyprus. 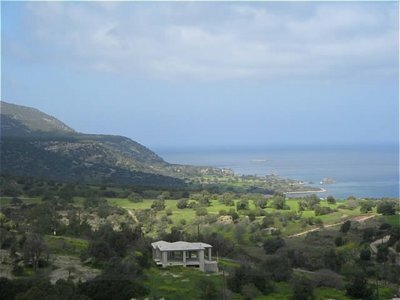 Plot sizes range from 411 sq.m - 906 sq.m The villas offer remarkable sea views of the breathtaking Chrysochou Bay. 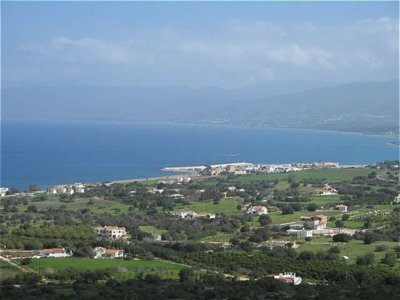 German: Dieses Projekt liegt am Ortsrand des charmanten Dorfes Neo Chorio, das nur ein paar Minuten von der bekannten Akamas Halbinsel ist. Das Projekt wird aus 4 Villen mit 3 Schlafzimmern, alle mit Privatpool und grossem Garten bestehen. Das Design ist einzigartig, nur hochwertige Materialien werden verwendet werden und eine sehr gute Inneneinrichtung bieten. Die Fertigstellung erfolgt 18 Monate nach Vertragsunterzeichnung. Die Villen sind hervorragend geeignet fuer Menschen, die nach einer Investitionsanlage suchen, die in einer schon bald sehr begehrten Gegend auf Zypern liegen. Die Grundstuecksgroessen liegen zwischen 411m2 und 906m2. Jede Villa bietet einen besonderen Meerblick ueber die atemberaubende Chrysochou Bucht.